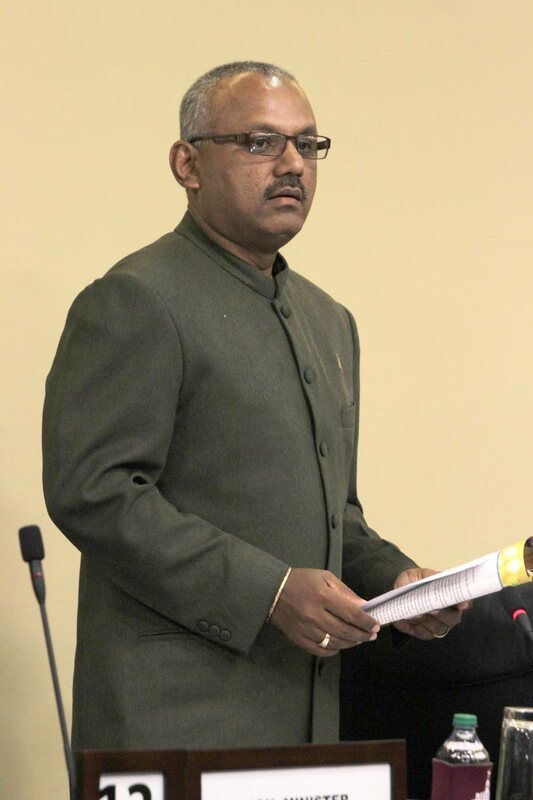 Couva South MP Rudy Indarsingh intends to write to Prime Minister Dr Keith Rowley about the conduct of his Education Minister Anthony Garcia. Indarsingh is alleging that Garcia cursed him in the tea room of the Parliament on Friday afternoon, a charge that Garcia has swiftly denied. He said the Minister has lost all moral authority to go into any school now and speak to children about their conduct . The Couva South MP said he also intended to write to House Speaker Bridgid Annisette-George and Opposition Leader Kamla Persad-Bissessar about the incident. Indarsingh noted there were four other MPs, two from the Opposition and two from the Government benches who witnessed the incident. Indarsingh recalled, shortly after 1 pm on Friday, he was having a cordial conversation with Mayaro MP Rushton Paray, Fyzabad MP Dr Lackram Bodoe, Laventille West MP Fitzgerald Hinds and D’Abadie O’ Meara MP Ancil Antoine when Garcia came into the tea room. Asked how he responded to Garcia, Indarsingh retorted, “I have 20 odd years experience as a trade unionist in industrial language.” Adding that he had a duty to his constituents and no one would silence him from doing so. Calls to the cell phones of the four MP’s who were present in the tea room went unanswered. Indarsingh offered the view that Garcia’s hostile behaviour towards him could be linked to him (Indarsingh) championing the cause of the Balmain Presbyterian School which was closed for weeks due to a sewer problem and also the Sonny Ladoo Early Childhood Education Centre. Indarsingh further submitted that Government, which was incapable of dealing with the problems affecting the country, was masking their incompetence behind the term corruption. He said the Government was cracking under pressure and he would not be muzzled. Hours after the clash, Garcia, in a media release, categorically denied that there was any obscene language exchanged between himself and Indarsingh. Meanwhile veteran parliamentarian, and former prime minister Basdeo Panday said the incident was an indication of the level to which the Parliament had sunk. He said the Parliament had degenerated and lost its purpose. Reply to "Rudy to write to PM about Garcia’s conduct"